Erm. 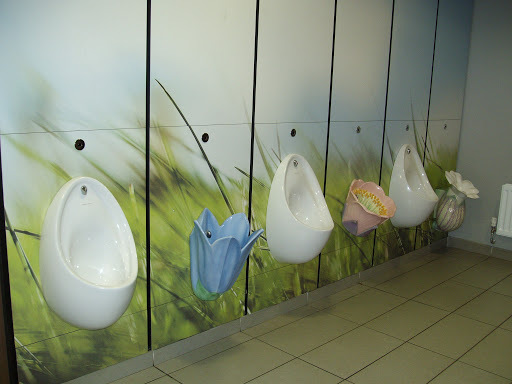 These are urinals. You know, those things men point their penises towards when wishing to do a wee-wee. Well, three look perfectly usual. But … those other three. Erm, they are like large flowers. It somehow seems wrong, illegal almost, to pee into a flower. A couple of them also look like they might, ahem, nip one in the bud. But, why would anybody design a toilet like this in the first place?